All British players have the chance to improve their skills with this bonus. 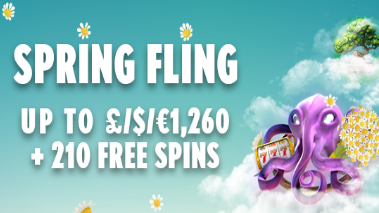 Enter Spinzwin Casino and deposit at least £50 to get 50 extra spins! Don’t forget to use the code 50FS in order to qualify for the deal. You can claim the offer 3 times. The extra rounds work only on Gorilla Go Wild. Wager the bonus amount 50 times before any cash-outs. Hurry up and get this bonus because it expires on 30th of April!